A growing number of Americans are considering the needs of their pets as they search for a new home. In particular, younger homebuyers are increasingly searching for a house where their pets will feel at home. A recent survey of millennials conducted by SunTrust Mortgage showed that one-third of millennials were motivated in part to purchase a house because they wanted more space for their dogs. Regardless of your life stage, your pet's safety and comfort is likely a top priority. Below are seven tips to help you find the perfect home for you and your four-legged family members. 1) Seek a home with a fenced yard. A home with a fenced yard offers a variety of advantages to home buyers. 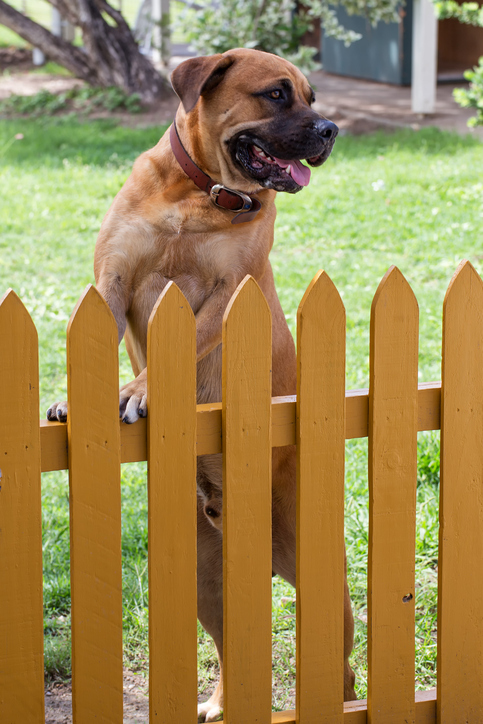 In addition to offering privacy, a fenced yard helps keep your pets safe and out of the path of traffic. Fences also prevent wild animals from harming your dog or cat. As you compare homes with fenced yards, remember not all fences are created equal. A fence that is only four feet high will offer scant protection if you have a large dog such as a Labrador, a German Shepherd, or a Golden Retriever that could easily jump over a short fence. 2) Consider a home with hardwood floors. In addition to bolstering a home's resale value, hardwood floors are easier to keep clean than carpet. Homes with hardwood or linoleum flooring are especially advantageous for people who have pets with long hair or pets that are prone to shedding. Floors with a smooth surface allow you to easily sweep away pet hair and quickly wipe up messes. 3) Look for homes with close proximity to parks. Keeping your pet in good shape can be a challenge if you do not live within close proximity to a park. Choosing a home within walking distance to a park will help you keep you and your dog active and fit. An experienced real estate agent can even present you with a list of available homes near off-leash dog parks if your dog enjoys walking freely. 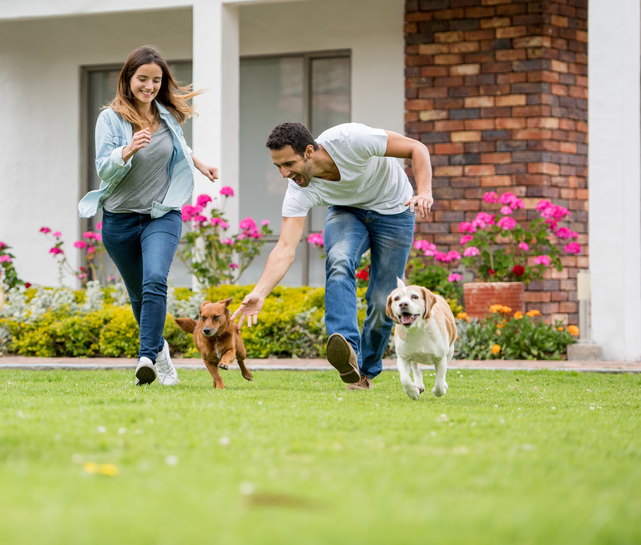 In addition to the physical benefits you and your dog can reap by living close to a park, there are many economic benefits to consider. For instance, homes located within close proximity to parks and open spaces tend to have higher property values and tend to be more removed from imminent traffic congestion. 4) Limit your search to single-story homes if you or your pets have mobility problems. If you or your pets are beginning to suffer the effects of old age, you may wish to restrict your search to single-story homes. Ranch-style homes or houses without steps will facilitate mobility for you and your pets alike. Additionally, single-story homes are easy to sell if you decide to relocate. Additional advantages include ease of cleaning and a higher degree of energy efficiency. 5) Seek a home with a large mudroom, laundry room, or multi-purpose room. Mudrooms and laundry rooms are popular locations for litter boxes. They are great places to clean your dog's muddy paws after time spent outside. A large mudroom or multi-purpose room is a good location for your dog's crate. You will have a convenient place to store your pet's leashes, medications, clothing, and supplies. 6) Consider a home within close proximity to a veterinarian. A home that is close to one or more veterinary facilities is a good choice for pet owners for a variety of reasons. In addition to giving you the peace of mind that comes with easy access to emergency healthcare for your pet, you will save on travel expenses and time when you need to take your pet in for vaccinations or checkups. Choosing a home located nearby a veterinary facility is especially important for owners of senior dogs and cats who are starting to show signs of declining health. 7) Select a home that is close to a top-notch pet boarding facility. If you are a pet owner who travels a lot for work or pleasure, you likely recognize the benefits of having a trusted boarding facility or pet care provider. Ideally, the home you choose will be within close proximity to a five-star pet boarding facility so that you can leave town knowing that your pet is in safe hands. In general, the best pet boarding facilities are professionally staffed, properly supervised, and include comfortable accommodations for your pet. Most important, they should have an on-site veterinarian or a veterinarian on call. What is the best way to ensure that you choose a pet-friendly house? The single best way to make sure that you find a pet-friendly house is to seek the guidance of a trusted real estate agency. An accomplished real estate firm will have the cutting-edge technology and resources to quickly find available houses that meet the seven criteria outlined above. To learn how we can help you find a stellar house for you and your pets to call home, we encourage you to contact us. Our team of licensed real estate agents is dedicated to helping you find the perfect home for you and your pet. We look forward to hearing from you!